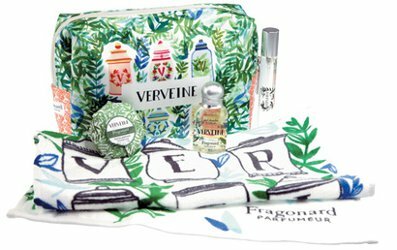 Fragonard celebrates their flower of the year for 2018, Verveine, with this lovely little travel kit featuring a toiletry bag, a 7.5 ml travel size of the Eau de Toilette, a 30 ml shower gel, a 30 g soap and a printed terry guest towel. €19 at Fragonard. You’re killing me, Robin. Seriously. My wallet is supposed to be on lockdown. Thanks, you saved me the trouble of trying to order it myself. That just makes me want it more.